Register and part of what you spend at Harris Teeter or Giant will benefit Jefferson. Giant: Our number is 02007. Register online. This is another “free” way to help out the PTA and programs to support our kids. Just clip off the Box Tops on General Mills products. Send the Box Tops in with your student and hand them into the PTA mailbox in the Main Office. There is a listing of those products that carry Box Tops seals, along with coupons and recipes, on Box Tops 4 Education website. Go through this Amazon Link and Jefferson gets money for every purchase made. To support TJ, always start shopping at smile.amazon.com. 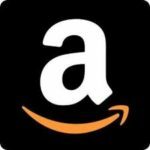 To create an Amazon Smile bookmark for your browser, scroll to the bottom of this page.